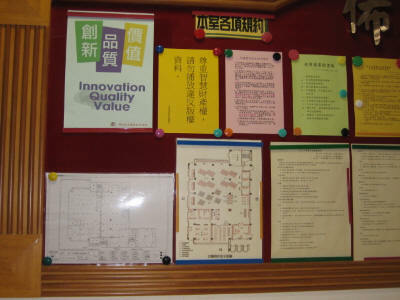 The libraries post a notice about "Respect the copyright law" on the bulletin board at Photocopying rooms in the libraries. 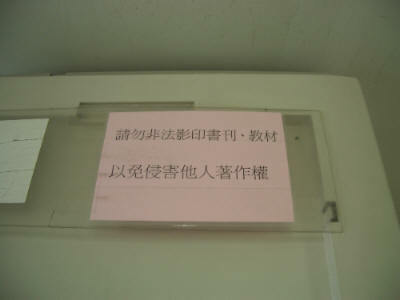 There is a notice about "Illegal photocopying is not allowed" tagged on the cover of every photocopier in the libraries. 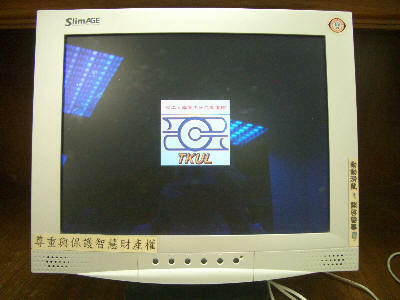 There is a notice about "Respect and Protect intellectual property rights" tagged on the screen of WebPac computers in the libraries. 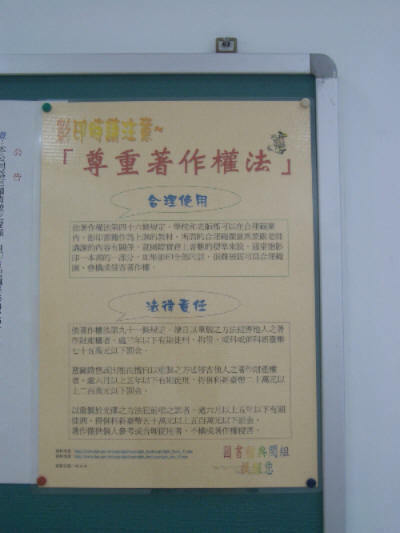 There is a notice saying "Please respect intellectual property rights，Don't transmit audio and video multimedia with illegal right " tagged on the bulletin board at entrance of theNon-book Material Section. 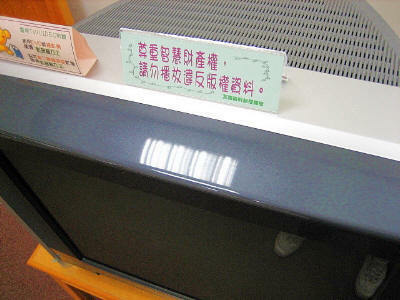 There is a notice saying "Please respect intellectual property rights，Don't transmit audio and video multimedia with illegal right " tagged on projectors in the Multimedia Rooms of theNon-book Material Section.